Sac River rainbows are readily taking the Pautzke Fire Balls when side drifted in the riffles below Anderson Park. 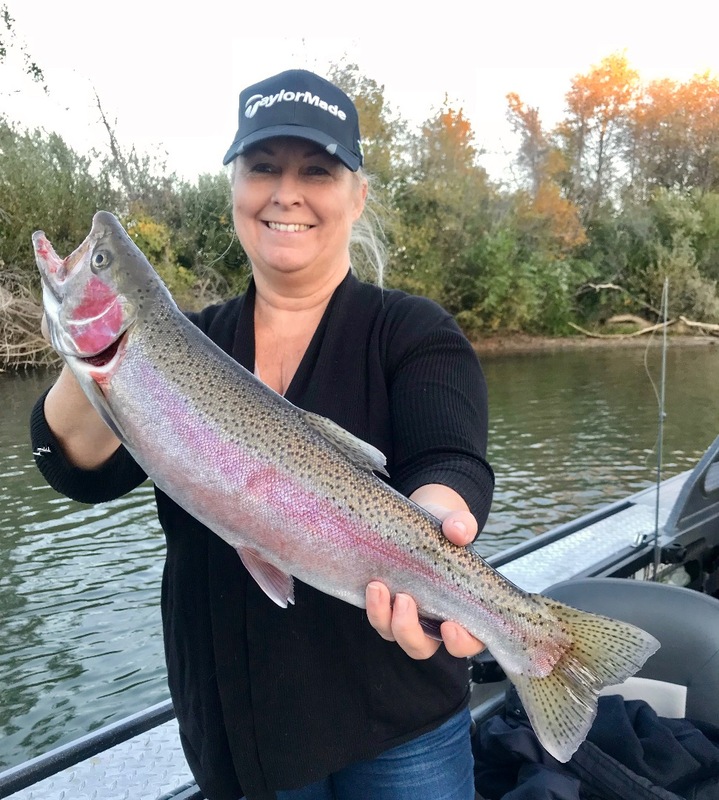 The Sacramento River salmon season has seen its best days for the early fall run season and now its time for me to fish for steelhead and rainbow trout! Theres still some salmon around for the die hards, but soaking bait in the Barge hole has lost its appeal to me now, especially with so few fish around. 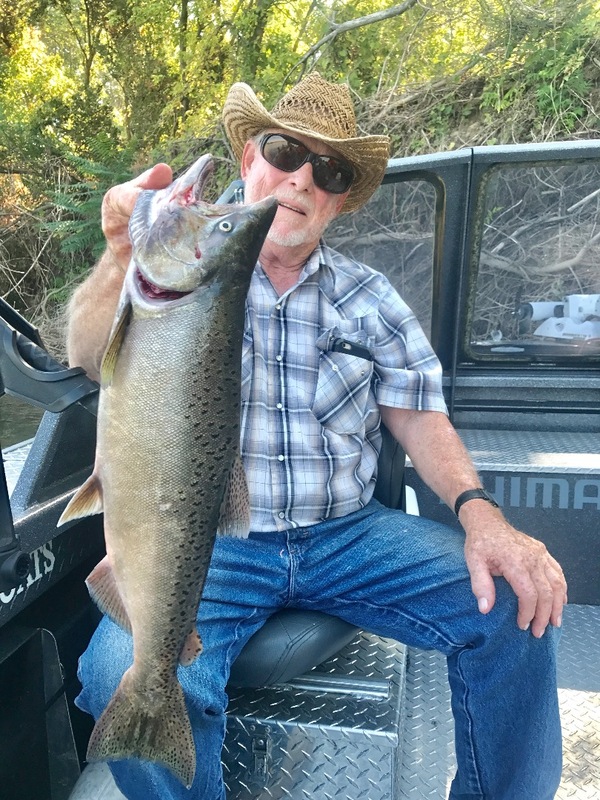 Today I had two anglers fishing and as slow as the salmon fishing was, we turned to drifting the riffles for steelhead and trout. We drifted Pautzke's Bor X O Fire natural eggs and picked up several nice little rainbows. 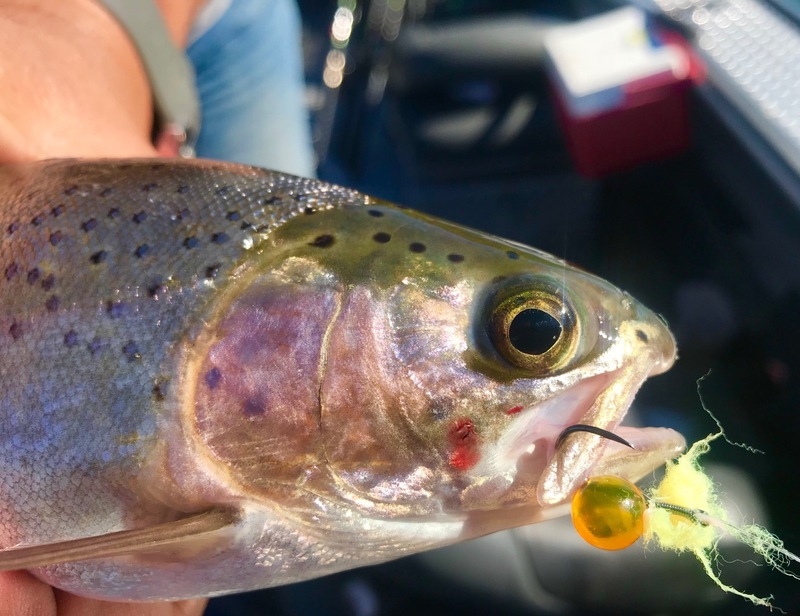 I received a box of the new Pautzke Fire Balls recently to test on the Sac, so I thought today would be a great time to pull them out and get em in front of some trout. I used the "chinook" and "coho" colors drifted on a #4 hook with a piece of yarn and found them to be very effective! They are an artificial egg that contains some of the same scents and bite stimulants as the original Pautzke Balls O Fire single eggs we've all been using since we were kids. 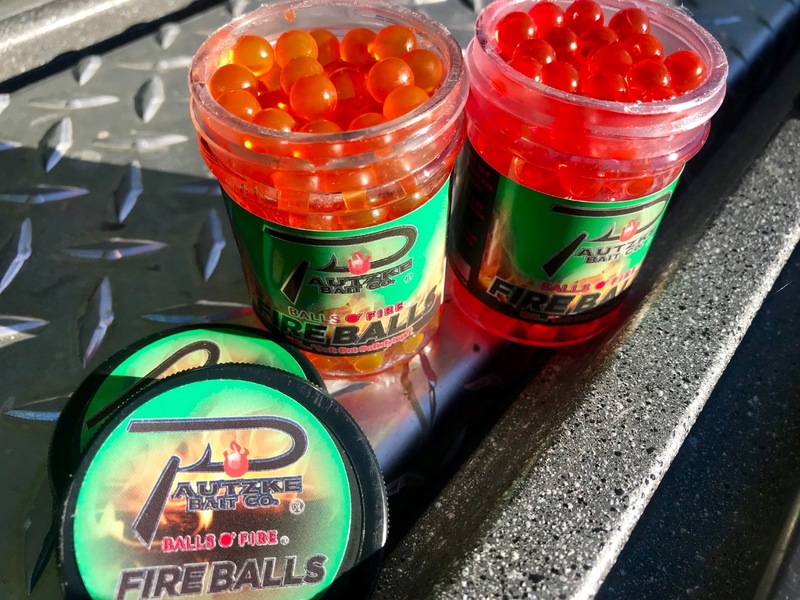 I'm still dialing in my presentation, but these Fire Balls really do catch fish! Check out www.pautzke.com for more details about these great new eggs! Tight lines!